What a great week! I really hope that you've enjoyed all of my guests, and that you've received a huge dose of inspiration from their favorite posts! Today, we'll wrap things up with Kris from Driven by Decor. When Kris comes to mind, I always think "classy lady" and "classy home!" Over the past year or so she's been working hard to update and transform a new-to-her home to make it extra special for their family. I've come to know Kris better as we've co-hosted the Best of the Nest party each month, and I'm always interested to see what she has going on. You're in for a treat today! Hi everyone! I'm Kris from Driven by Décor and I'm so excited to be part of Jennifer's Favorite 5 series. I stumbled upon Dimples & Tangles about a year ago and all it took was one look at Jennifer's fabulous dining room to have me hooked on her fun, colorful style. And as if her amazing taste and killer DIY skills weren't enough, I've come to find that she is truly one of the nicest gals in all of blogland. Thanks so much Jennifer for inviting me to dish about my favorite projects on Dimples & Tangles today! 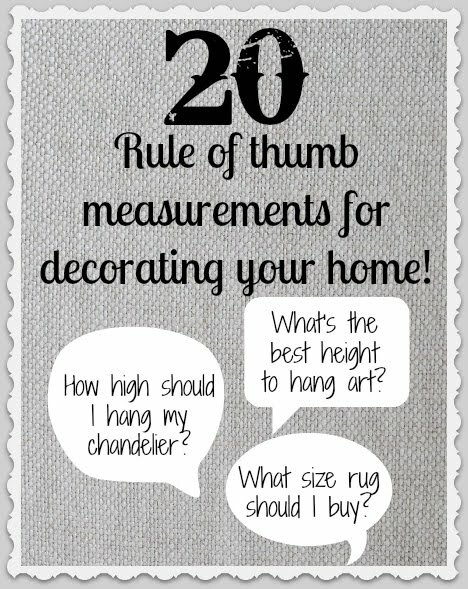 Trying to decide how high to hang the chandelier over your dining room table, what size rug is best for your space, or how many inches above your couch to hang that new piece of art? I've put together my favorite tried and true measurements to help make these decisions a little easier. With tween and teen daughters and a techie husband, we have more than our fair share of electronic devices. 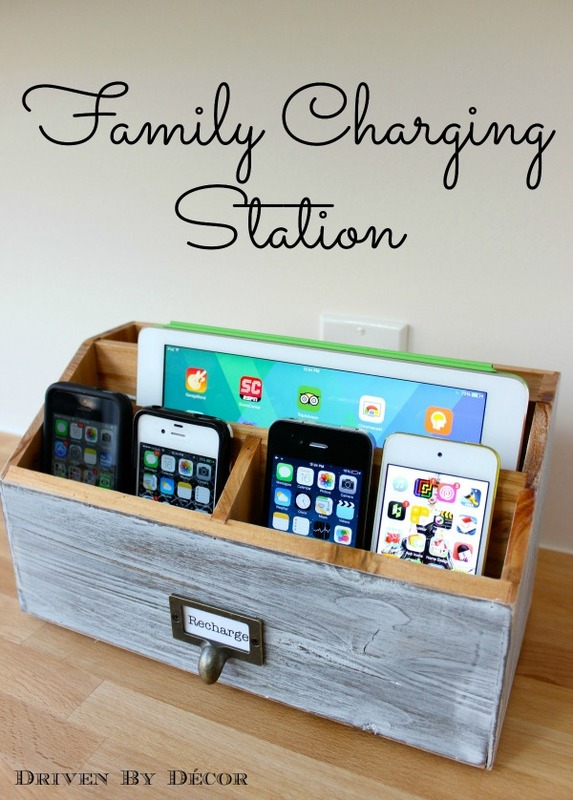 In order to tame the cord clutter that was driving me crazy, I created this super simple family charging station by changing out a standard wall outlet to a 4-port USB outlet and converting a standard wood organizer to our new electronics headquarters. 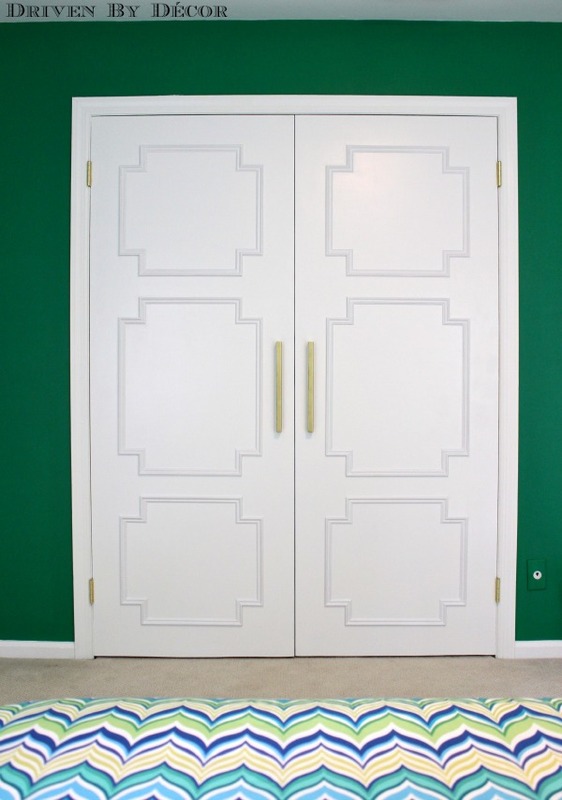 My daughter's bedroom had a pair of ugly flat-panel closet doors that were a real eyesore. As part of her tween bedroom makeover, I used some inexpensive molding, paint, and IKEA handles to transform them into these paneled stunners. With Halloween on it's way, I thought it'd be fun to wrap up my favorite 5 with some cute Halloween treats. 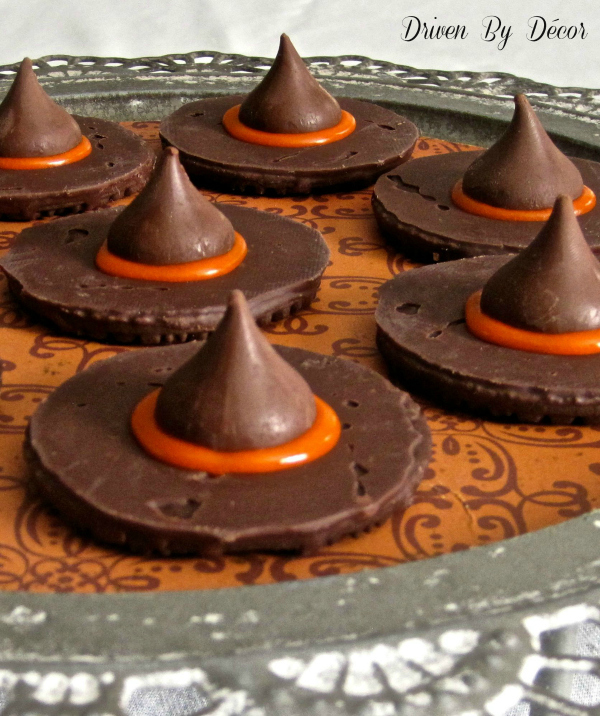 These witch hat cookies are so simple that even the youngest of kitchen helpers can get in on the act. I hope that you all enjoyed my favorite 5 and that you come on over to Driven by Décor - I'd love to see you there! You can also find me on pinning away on Pinterest and sharing what I'm up to on Instagram. Thanks so much for having me Jennifer - I can't wait to hear all about your trip! 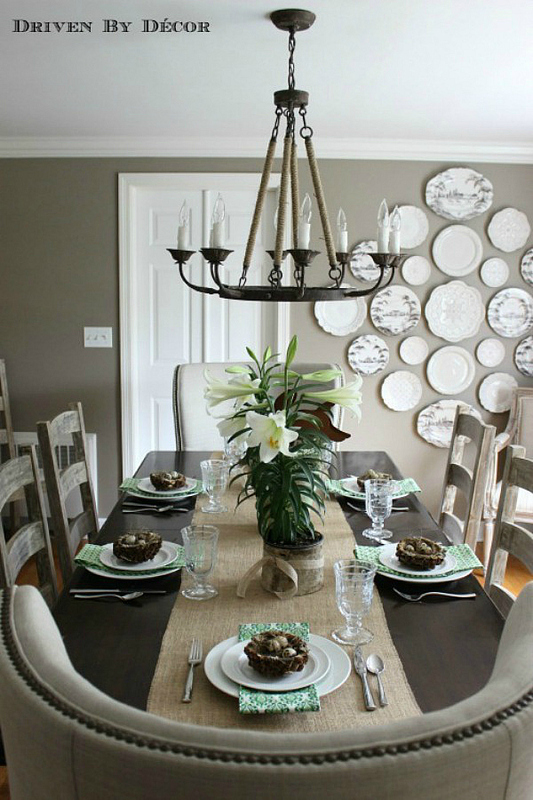 Kris's plate wall and gorgeous closet doors are definitely at the top of my favorites list, too! You won't believe that this Ikea nightstand was a DIY hack project, and I love these bracelets so much that I think I need to grab my girl and make some for this Fall! Thanks so much for being here today, Kris! I could seriously move into Kris' home and not change one single thing, I love the color palette and all the smart and creative touches! The office that Kris has been working on is one of my favorite spaces in her house with it's moody walls!! i love kris and her home and diy skills! those closet doors and that whole room are some of my favorites! Kris is darling & I have been OBSESSED with her daughters closet doors ever since I saw them! AMAZING! Kris is such a dear. And she is never short on amazing ideas!! Adore Kris and her beautiful home! I love those doors. So good. I've been thinking of swapping my shutter-esque folding laundry room doors for some flat panel ones I can add some decorative moulding to. Love that girl, she's so genuine and her sophisticated but casual style is killer! Love both your styles! I like the projects Kris shows- that girl is talented and classy. Kris has such great inspiration in her home!